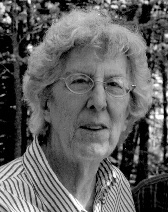 North Yarmouth, ME - Phebe Snow, 87, of North Yarmouth, Maine, passed away on May 5th, 2017 at Maine Medical Center in Portland Maine. Phebe was born in Summit NJ on September 25th, 1929 to Bertrand Littell Gulick and Helen Rhodes Gulick. She attended Miss Fines School, Princeton Day School, and Saint Mary’s Hall. She also attended and graduated from Endicott Jr. College. On January 31, 1959, she married Carlton F. Snow and moved to Kingston NY to begin her life with him. It was the beginning of a journey she cherished for 58 years and would take them from NY to Virginia and Connecticut before landing them in North Yarmouth, ME. Phebe was a strong believer in family and treasured and protected her relationships with those she loved. She enjoyed being a part of the extended Snow family and looked forward to time spent at “The Camp” each summer. She enjoyed travelling to Europe and California to visit her children and grandchildren. She was well known for having high expectations. She taught us to be aware of the needs of others and to be kind, considerate and respectful. She modeled grace in times of adversity and found the silver lining in most situations. When no lining existed she taught us the wisdom of letting go of what we could not control. Phebe was active as a Girl Scout leader and volunteered for many years with the Rockland County, NY 4-H Horse Clubs. She worked as a Cooperative Extension Program Coordinator for several years prior to moving to Connecticut. She volunteered for 15 years with the Children's Museum in Portland, ME and also enjoyed participating in the Newcomers Group, various book clubs, and bridge groups. She was a master knitter. Phebe is preceded in death by her parents and her brother Peter. She is survived by her husband, Carlton, of North Yarmouth; a daughter, Lydia, of Readfield ME and her husband Greg and grandchildren Casey, Michael and fiancée Diana Derocher, and Sandra and fiancé Russ Bayreuther; a son, Edward, of San Diego, CA and his wife Kathy and grandchildren Charlotte and Laura. At her request there will be no services. Those wishing to honor her memory may make a donation to your local Cooperative Extension 4-H Youth program in her name.